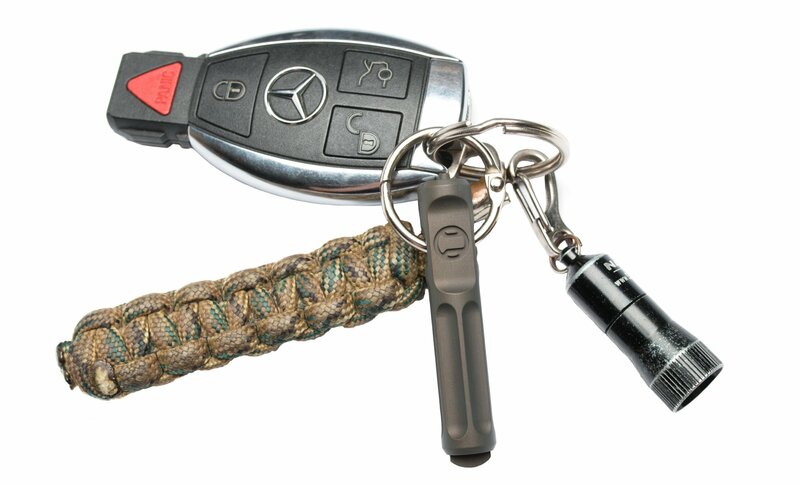 Ampule™ is a red dot, optic & laser adjustment keychain tool. 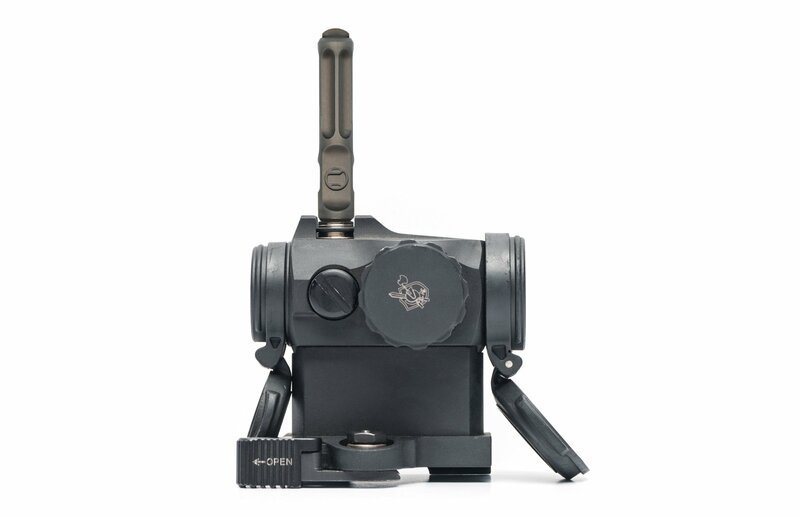 A handy range or gear bag tool to have on hand for easy and precise adjustments to your laser front sight or other optic. The Ampule laser alignment tool is machined out of 7075 aluminum for toughness and longevity. No more using a coin or spent brass to adjust your gear. It’s finished in Orbital Grey and includes a pivot ring for ease of use. The Ampule™ laser alignment tool has numerous ball fluting cuts for weight savings and leverage surfaces. It also has smooth chamfered edges to be snag free. 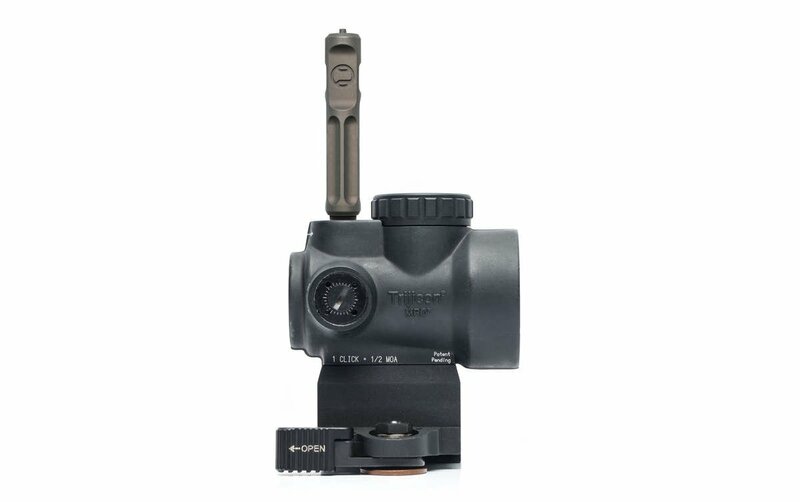 One end has the the Aimpoint® two dot adjustment standard, and the other a contoured flat design to interface well with the popular optics and lasers. We give our cheapest product as much attention as our most expensive; we always sweat the details. Ampule™ tools are precision CNC machined out of billet 7075 and offered with an ultra tough type 03 hardcoat anodized finish in our most popular Orbital Grey. 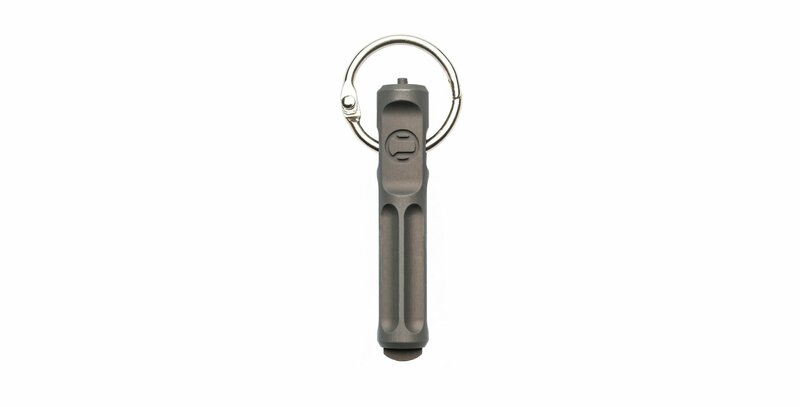 Ready for the range bag or your key fob, never be without a laser alignment tool again, and as always it’s made here.